My free play is on the LA Angels at 4:05 ET. 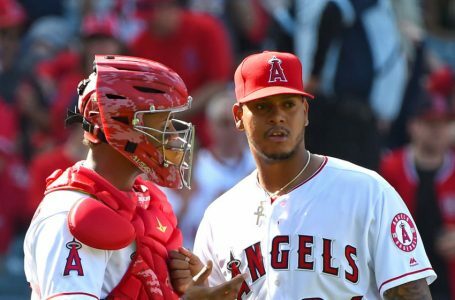 The LA Angels opened the 2018 season 13-3 but found themselves just one game over .500 (49-48) at the All Star break. LA currently sits at 54-52, having four in a row, while reaching double digits in runs in four of the team’s past seven games. Angels catcher Francisco Arcia drove in six runs in a 11-5 victory Saturday night, giving him a major league record 10 RBI in the first two games of his career. Arcia, who after 12 seasons in the minor leagues, had a three-run HR in is his big league debut (his first hit!) in Thursday’s 12-8 win over the White Sox. LA won 4-2 (10 inn) on Friday, giving them a chance for a three-game sweep of Seattle in the series finale on Sunday. The 61-43 Mariners are looking to ‘right the ship’ somewhat, as they have gone just 6-12 since July 4. With back-to-back losses to LA in this series, the Angels have moved within eight of Seattle for the second wild card spot in the American League. Seattle is hoping that Marco Gonzales (11-5, 3 .38 ERA) will pick them up in order to avoid getting swept, as the team is 14-6 (plus-$705) in his 20 starts here in 2018. He is 2-0 with a 3.00 ERA in his previous four starts against the Angels this season, with the Mariners winning all four contests. Gonzales allowed one run and five hits over six innings against the visiting Angels in a 4-1 win on July 5 and then six days later, faced Los Angeles in Anaheim for the first time this season and threw seven shutout innings in a 3-0 win. Felix Pena (1-1, 3.34 ERA), a reliever turned starter this season, will take the mound for the Angels. Pena’s first 38 appearances came out of the bullpen before he made his first career start June 19 against the Arizona Diamondbacks. He has a 2.73 ERA in six starts overall (Angels are 3-3). He has never faced the Mariners in his three-year career and in fact, this will be the first against an American League West opponent. Gonzales will make his 21st start in this one (matching a team-high) plus he owns a team-high 11 wins and a team-best 3.38 ERA among starters. Yes, the Mariners have won all four his his starts against the Angels in 2018 but right now, LA is playing better baseball than Seattle, and I’ll back them to complete the home sweep.